This will be a short one with a long quote. It is about America, and all who live here. Even though it quotes the Bible, it is not meant to be religious (the Bible was written by mortal men containing truth, half truth, and lies); it is about the truth of where we are, how we got here, what we have become, and where we are going. Americans and most in the Western world have sold they’re souls to Lucifer, by putting “things” before substance, before our humanity. And, that is why we are going down. We have lost our way. Anyone with eyes can see it if they want to. Maybe we think about this as we celebrate a fake country, and fake freedom. That’s a topic for another time. 11 “And the merchants of the earth will weep and mourn over her, for no one buys their merchandise anymore: 12 merchandise of gold and silver, precious stones and pearls, fine linen and purple, silk and scarlet, every kind of citron wood, every kind of object of ivory, every kind of object of most precious wood, bronze, iron, and marble; 13 and cinnamon and incense, fragrant oil and frankincense, wine and oil, fine flour and wheat, cattle and sheep, horses and chariots, and bodies and souls of men. 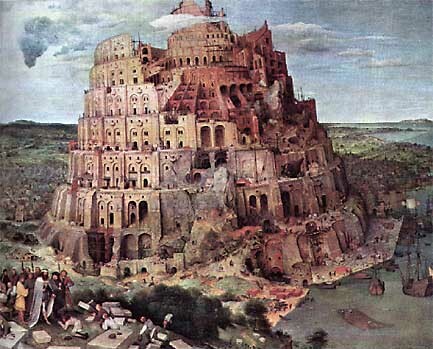 There are three divisions to Babylon: Ecclesiastical or Religious (Spiritual) Babylon; Political or Governmental Babylon; and Commercial or Economic Babylon. Throughout history all three of these portrayals of Babylon have reared its ugly head and manifested the spirit of seduction and deceit. They have denigrated God and His church. They have stepped on biblical precepts and counsel, and sought to put humanism on the throne where God Almighty only should reign. They have in effect built a tower of Babel, religiously, politically, and economically, and have bombarded the very gate of Heaven, seeking entrance to overthrow the Omnipotent Creator. They have placed more esteem upon the creation rather than the One Who created them. In effect, they have said as their predecessor Lucifer, “I will be like the Most High!” Furthermore, they have sought to enslave by seduction all who will follow them, hunting and entrapping souls with religious compromise, political expediency, and financial dishonesty with debt laden snares. The enslavement continues – but not for much longer. Many who enjoyed the profits of her influence will weep because of her destruction, “For in one hour so great riches is come to nought. And every shipmaster, and all the company in ships, and sailors, and as many as trade by sea, stood afar off, and cried when they saw the smoke of her burning, saying, What city is like unto this great city! and they cast dust on their heads, and cried, weeping and wailing, saying, Alas, alas, that great city, wherein were made rich all that had ships in the sea by reason of her costliness! for in one hour is she made desolate.” (Rev. 18:17-19).